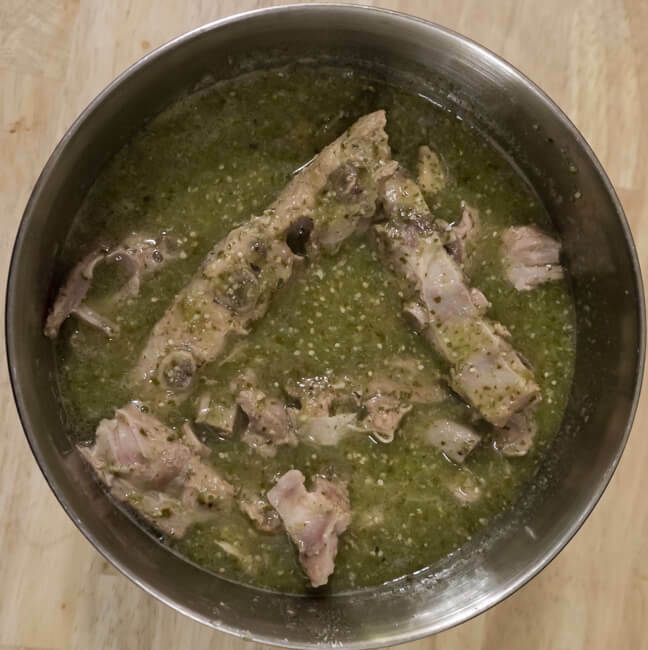 I love me some tender fall of the bone pork morsels swimming in warm, tart, and tangy, tomatillo sauce. Spoon it onto a corn tortilla followed by a sprinkle of Mexican crumbly cheese and you’ve got one of the best tacos on the planet. 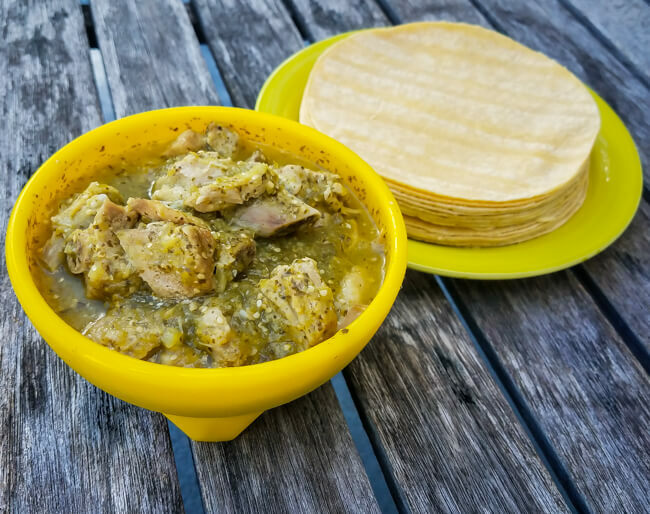 Pork Chili Verde is one of my favorite Mexican eats. I order it often when I’m eating out and recently started making my own. 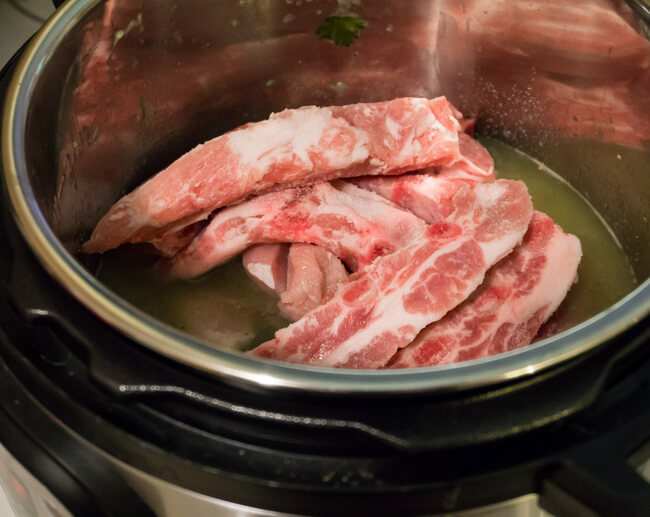 Cooking the pork in an Instant Pot makes it oh so tender and when I make it, its cooked exactly how I like it every single time. There are many recipes out there, but I think mine is the best. Cook the salsa verde first then the pork. Add them together in the end. 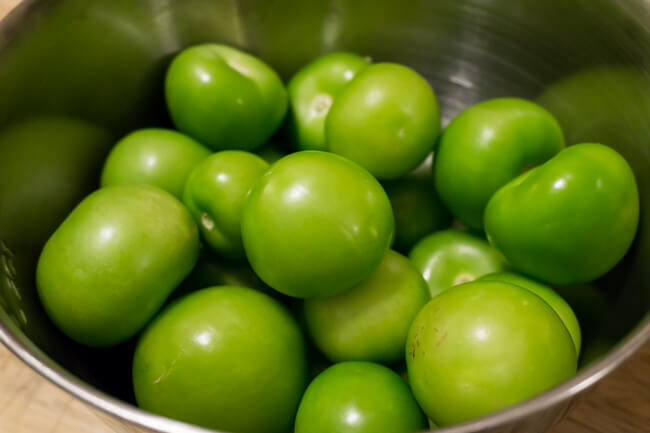 To start with peel the husks off the tomatillos and give them a rinse. Then take a jalapeno or two, cut them in half and remove the seeds. 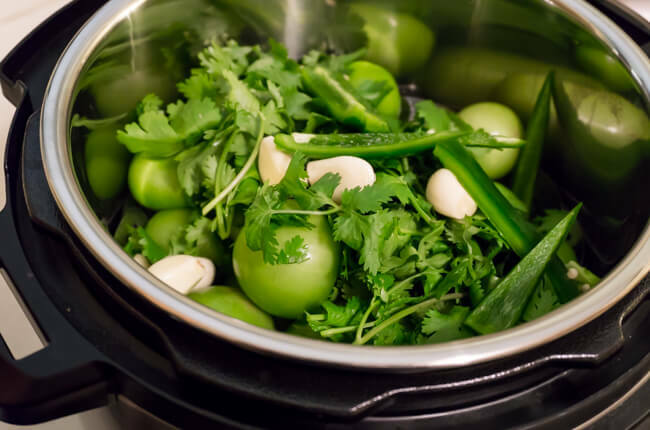 Put the basket in the Instant Pot and then place your tomatillos along with a handful of garlic and cilantro. Add about a quarter cup of Sofrito, close the lid, and cook for 10 minutes. When finished throw your ingredients in a blender and puree. Now you have tomatillo sauce. Set it aside for later. Now it’s time to cook the pork. 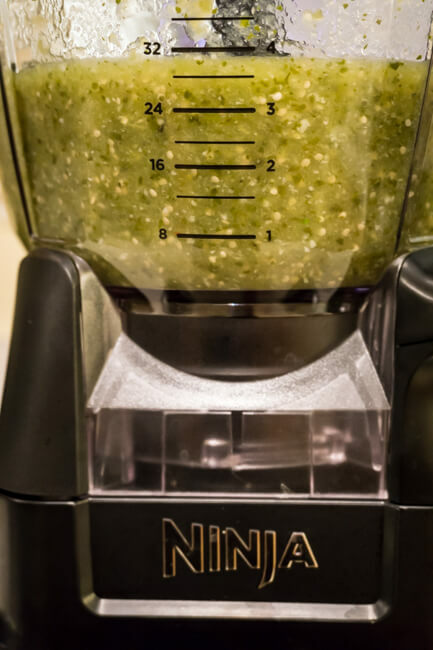 Leave the juice in the bottom of the Instant Pot, remove the basket, and add about a half a cup of your tomatillo sauce to the mix before throwing in the pork. Be sure to add a generous amount of salt for flavor. Cook the pork for 20 minutes then remove it from the cooker. 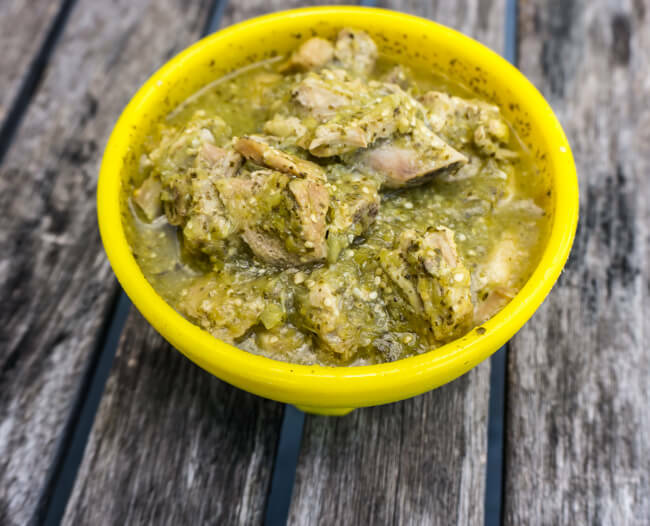 In a large mixing bowl add the cooked pork, tomatillo sauce, and a ladle or two of the juice from the Instant Pot. Taste before serving and add more salt if needed. I’ve tried several cuts of pork, but my favorites are neckbones and spareribs. The fat and bone on these cuts translate into the most tender and flavorful bites of meat you could ever imagine. You can use leaner cuts to eat healthier, but it’ll be much tougher even if you slow cook the living hell out of it. In this case, the least expensive meats are your best option. What’s your favorite pork recipe? It’s Christmas Time at Seaworld Orlando!